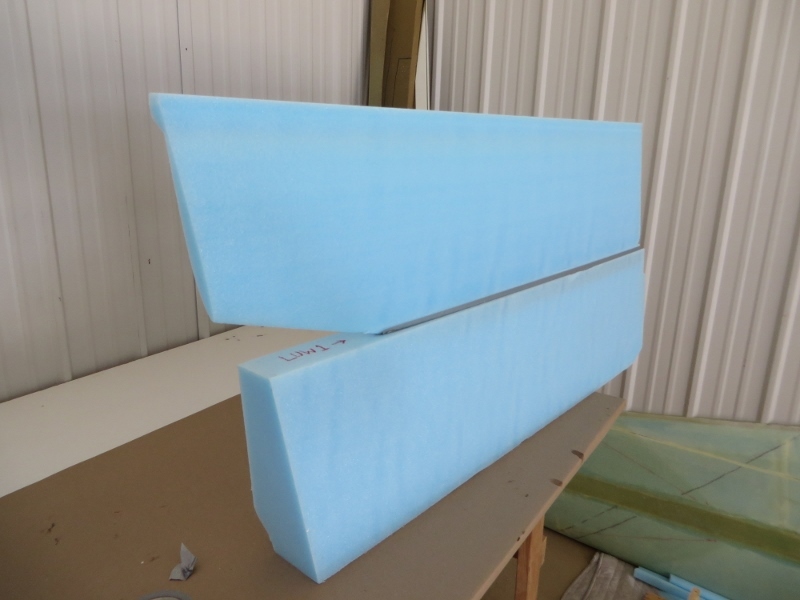 I purchased my winglet cores from Eureka CNC. 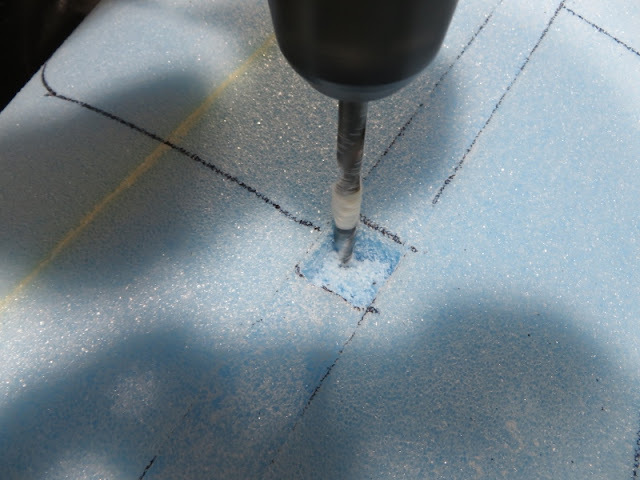 As always, they did a phenomenal job. 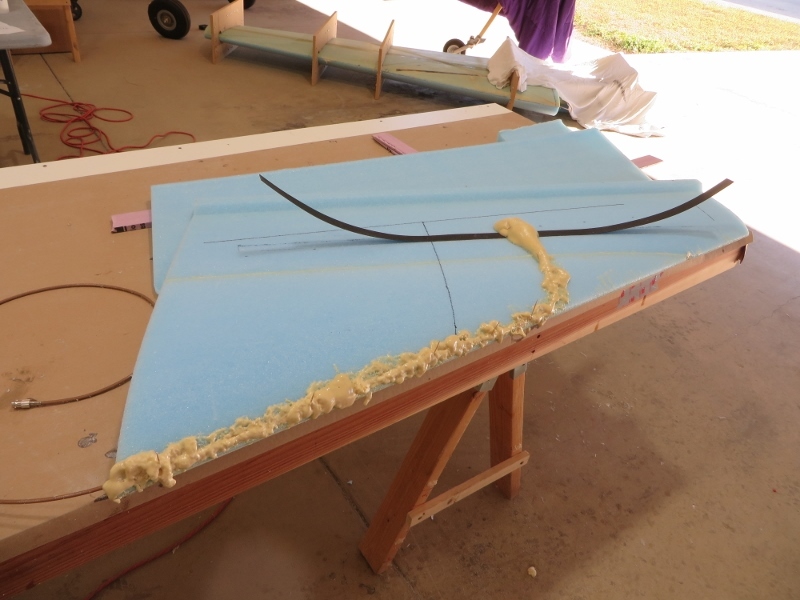 Wetted everything out and then added the lower BID reinforcement. 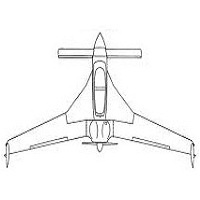 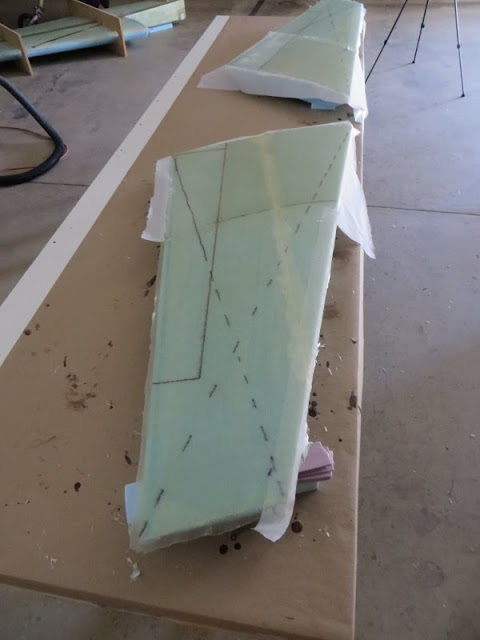 I had previously drawn the high-performance rudder hingeline and so I made sure the BID ply did not extend past it. 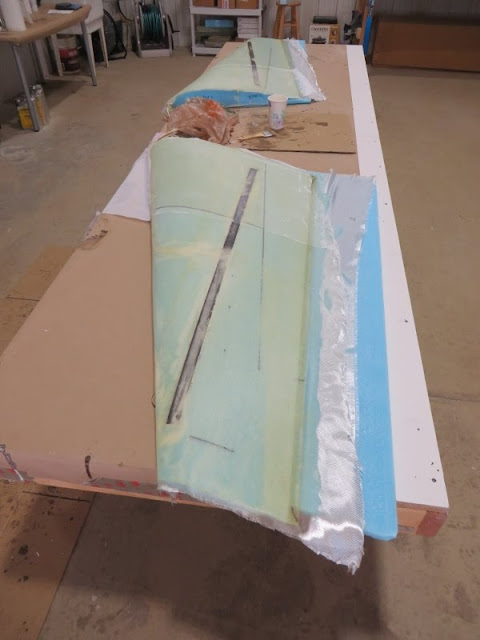 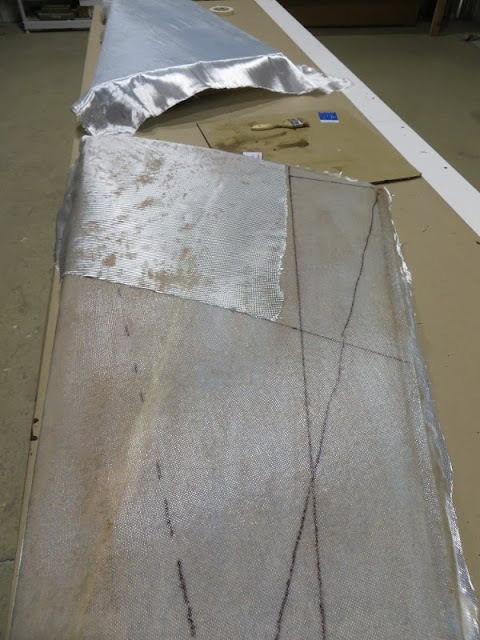 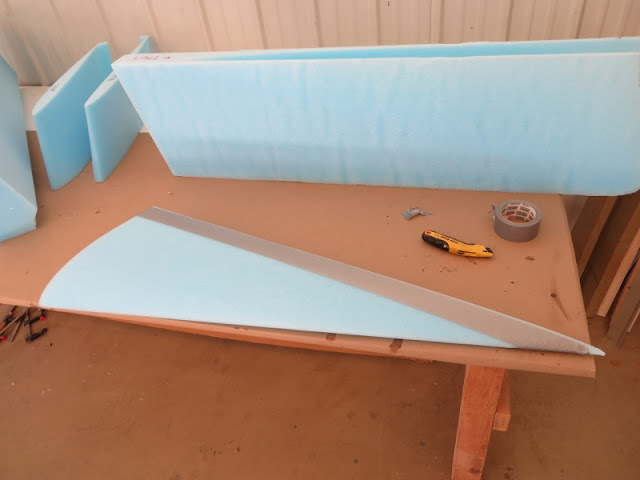 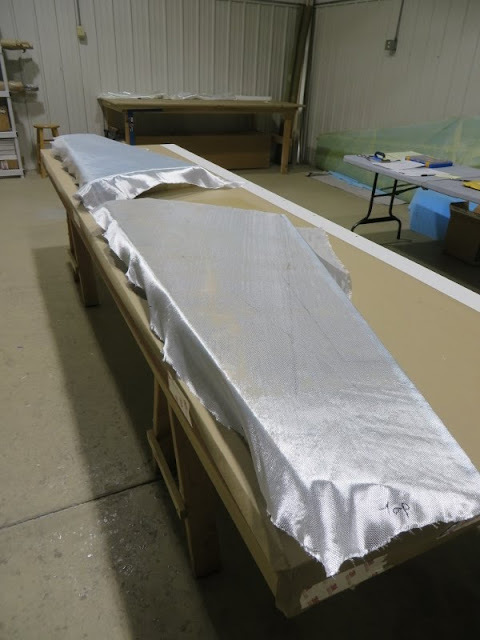 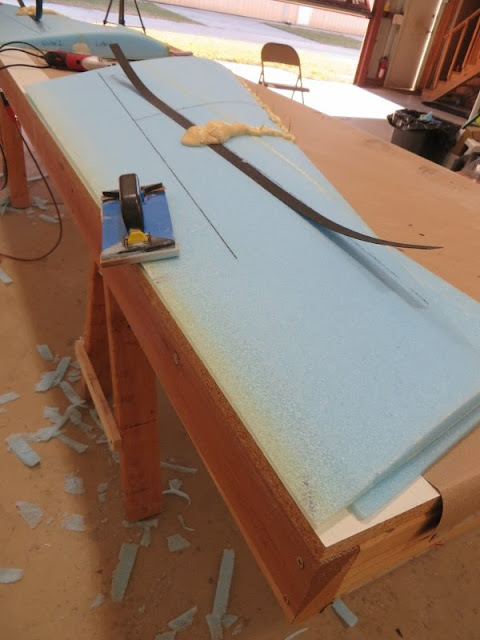 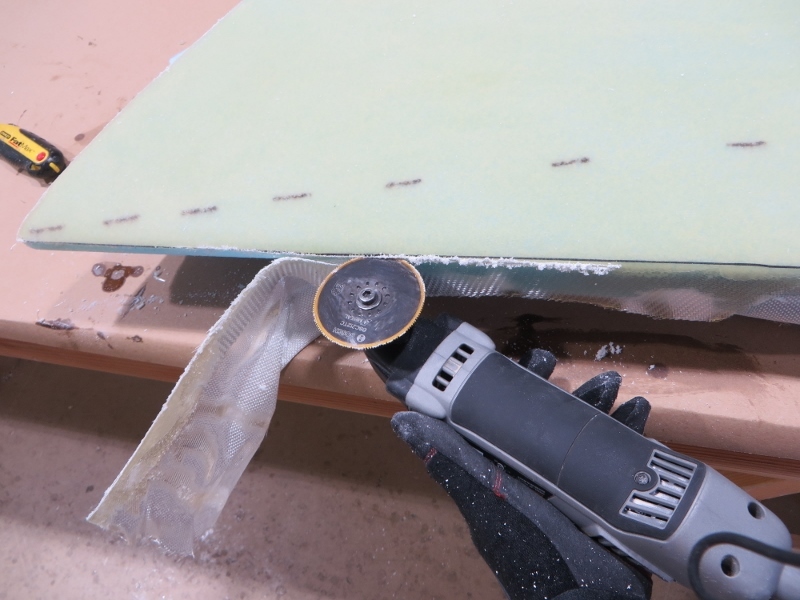 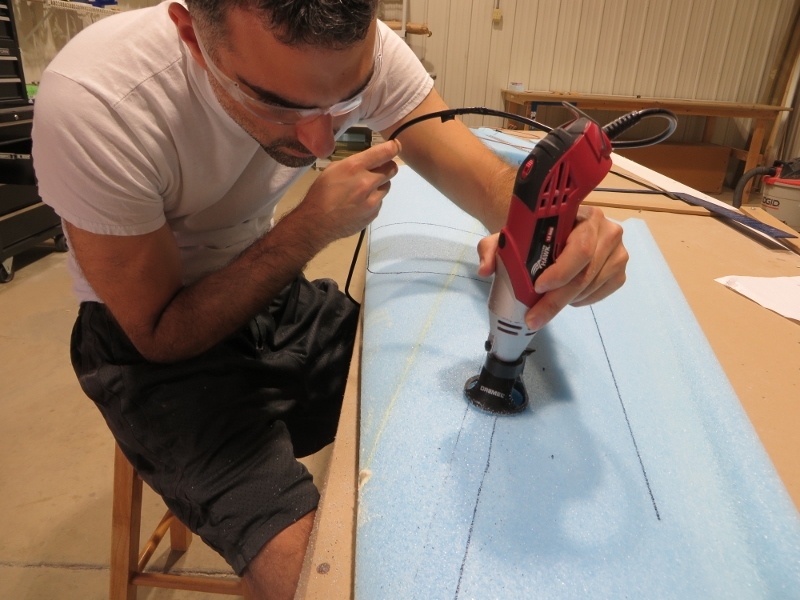 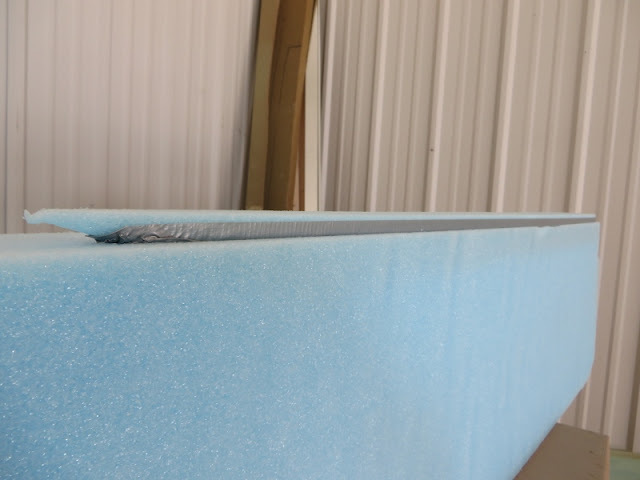 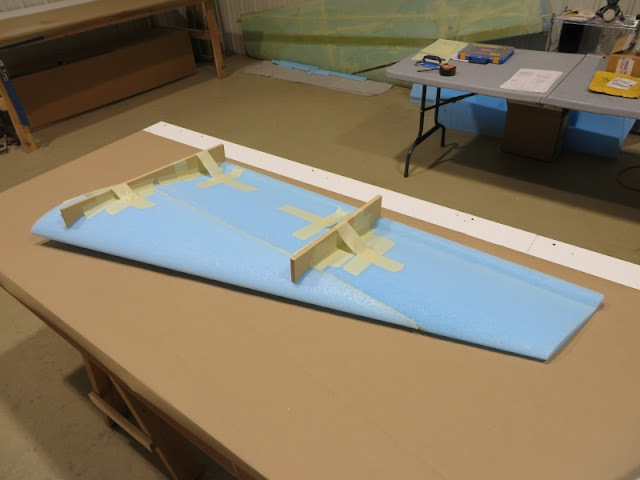 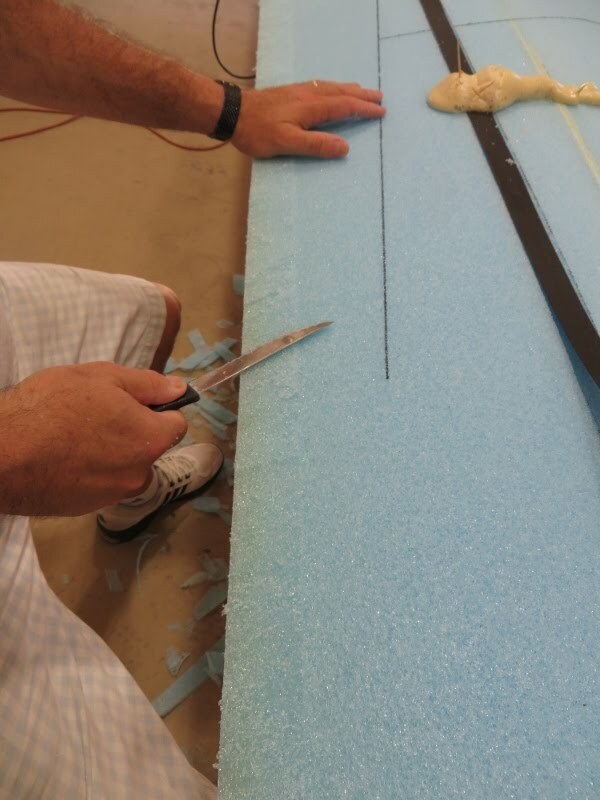 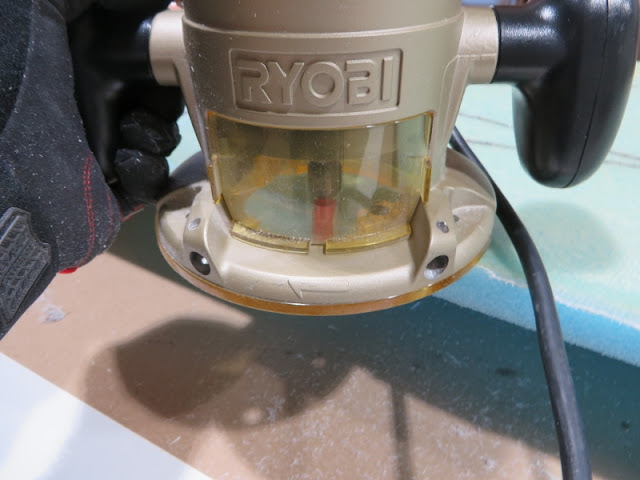 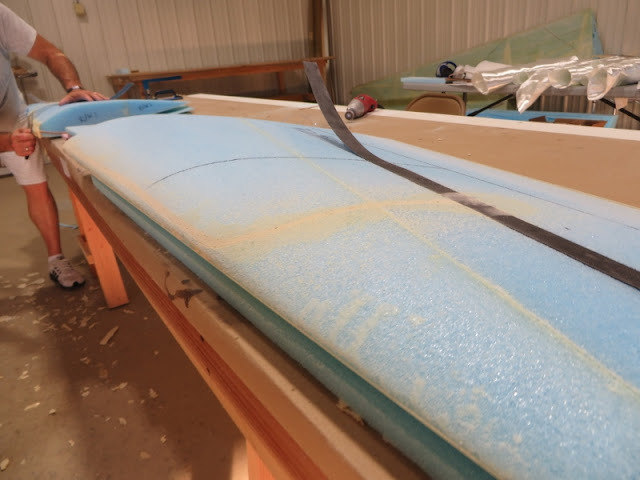 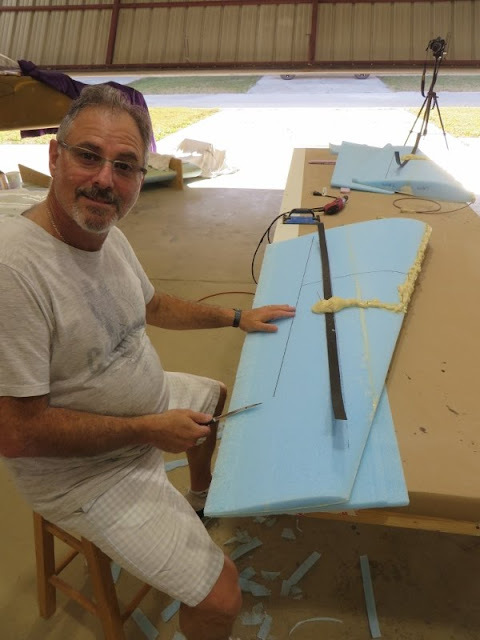 I then peel plied the BID portion and the leading edge... and repeated everything for the other winglet, finishing both outboard surface layups in one day. 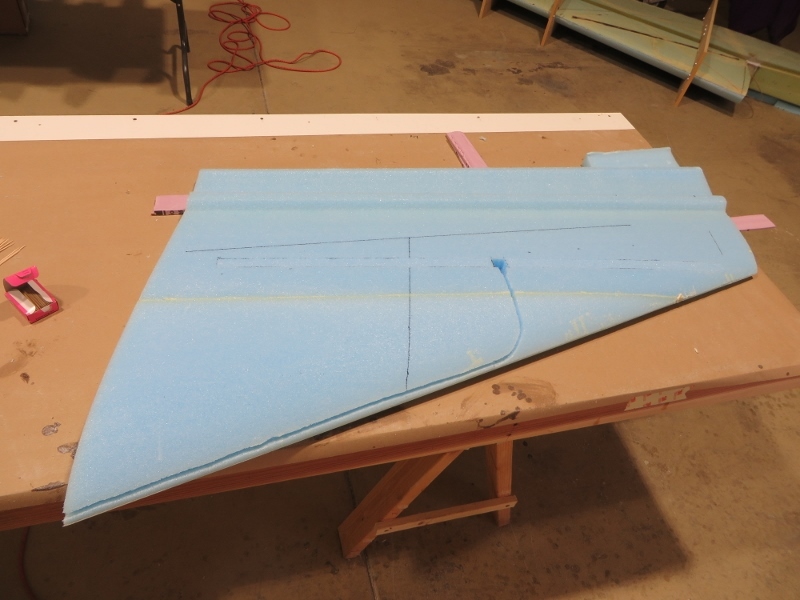 Notice the foam shims making sure the winglets had zero twist. Waited a day for cure and then trimmed everything up. 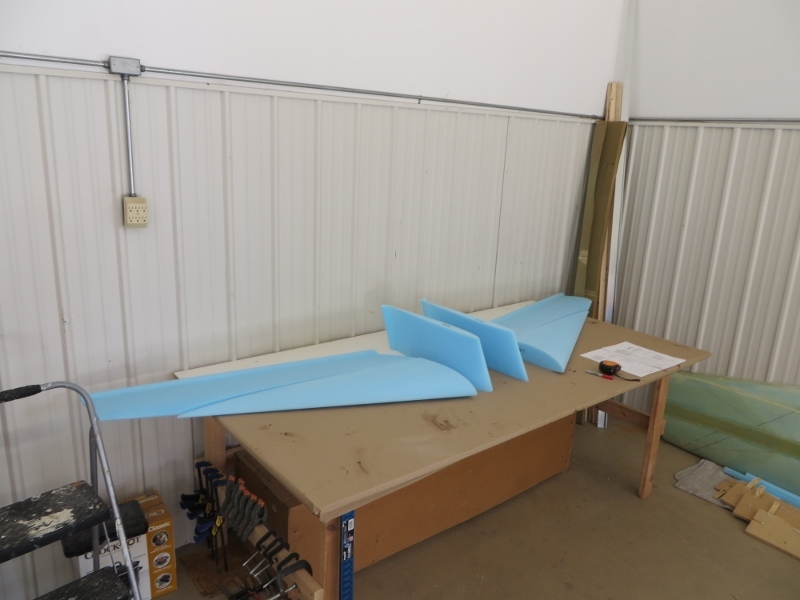 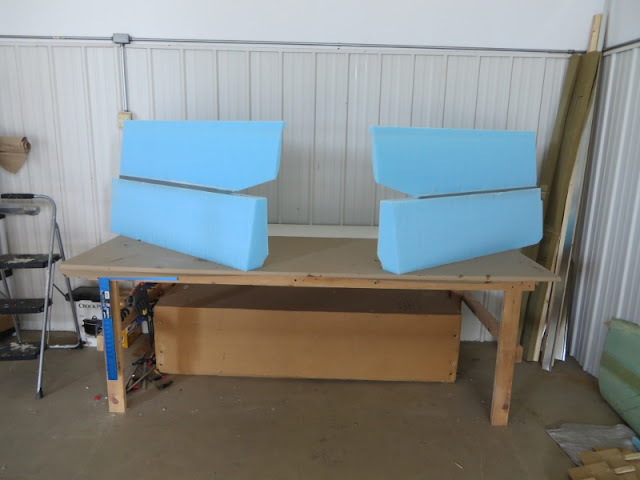 And there you have it... two winglets ready to be installed onto the wings! 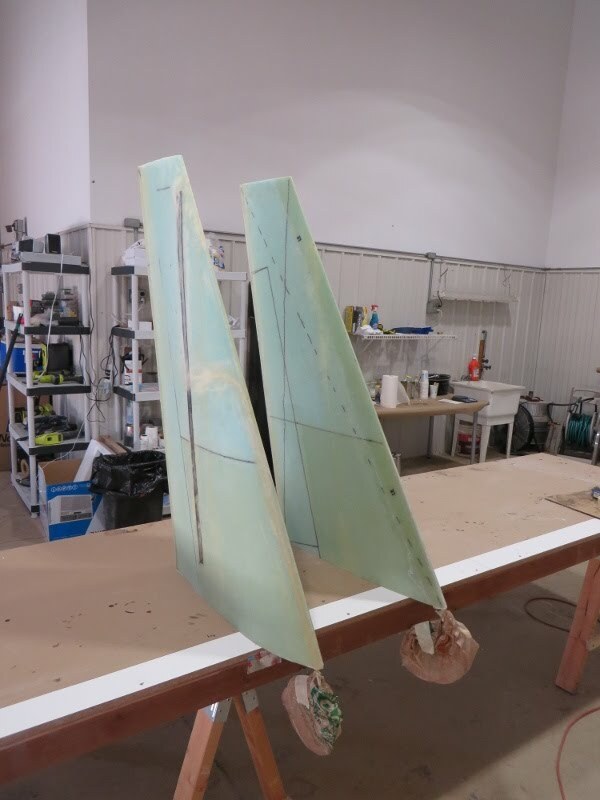 The rudders will be cut out later. Notice the BNC cable coiled up and protected with a plastic bag at the bottom of the winglets.